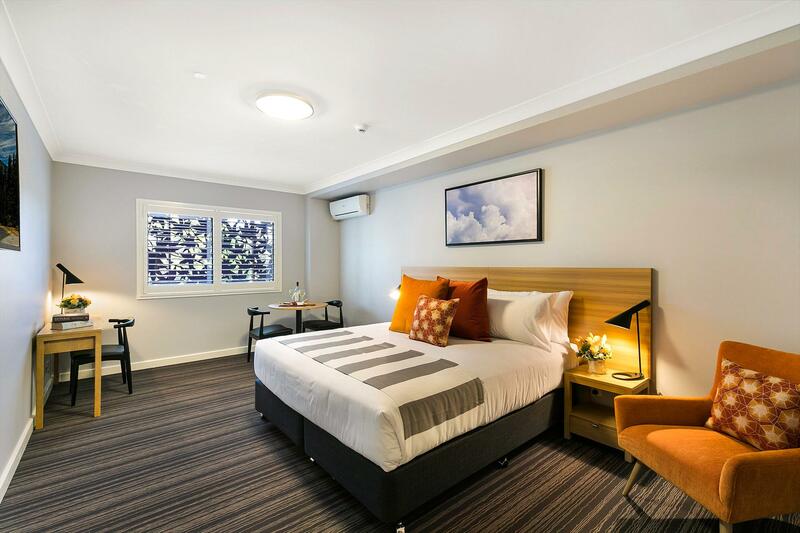 Toowoomba's newest boutique hotel offers modern, relaxed luxury with the convenience of a central CBD location. Country hospitality, quality inclusions and onsite restaurant make Potter's Boutique Hotel the ideal choice for business or pleasure. 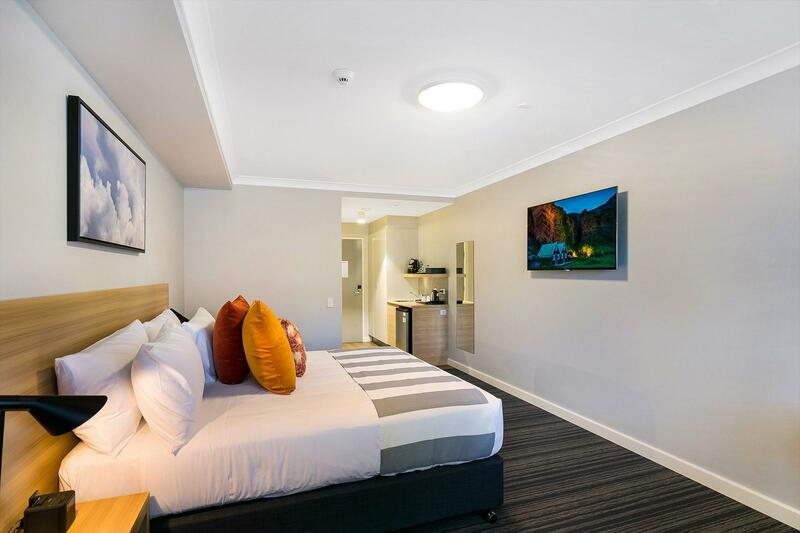 Potters Boutique Hotel, Toowoomba's newest hotel is centrally located just moments to laneway cafes, restaurants and shopping at Grand Central Shopping Centre. 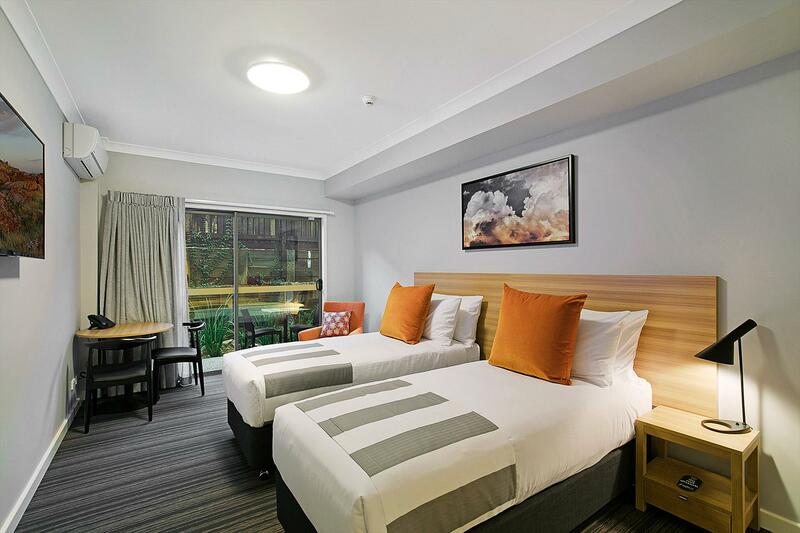 Featuring 55 spacious rooms featuring modern design and quality inclusions including Nespresso coffee machine, Free WiFi and 50 inch Smart TV's with Foxtel connectivity. Potters Boutique Hotel boasts a range of room types from Standard King and Twin rooms to Executive King Rooms furnished with work desks and the added inclusion of Nespresso machine. The hotel also offers wheelchair accessible rooms to ensure a comfortable stay for those with special needs. Spacious two bedroom apartments are ideal for families and extended stays. Featuring a kitchenette, dining area and living room with enough space to make Potters your home away from home. 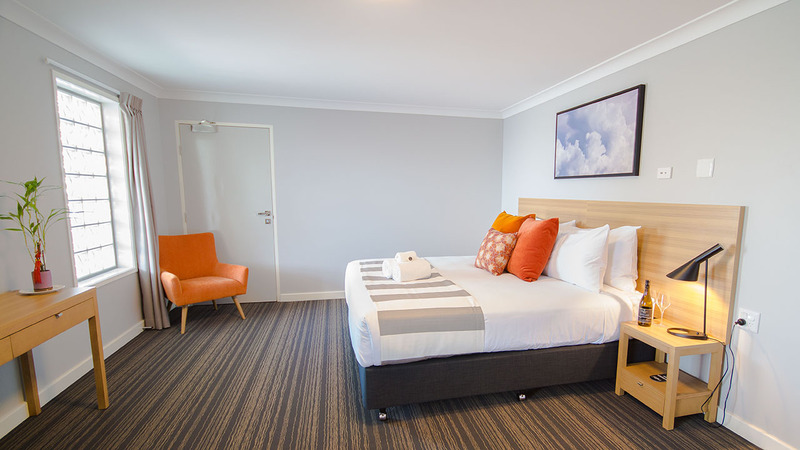 Luxurious bedding with king size pillows assures a good night's sleep allowing you to wake refreshed and revived ready for a day of exploring all Toowoomba has to offer. Potters Boutique Hotel offers an onsite restaurant and bar open breakfast and dinner. The a la carte menu features modern country style fare with a focus on fresh, local produce. 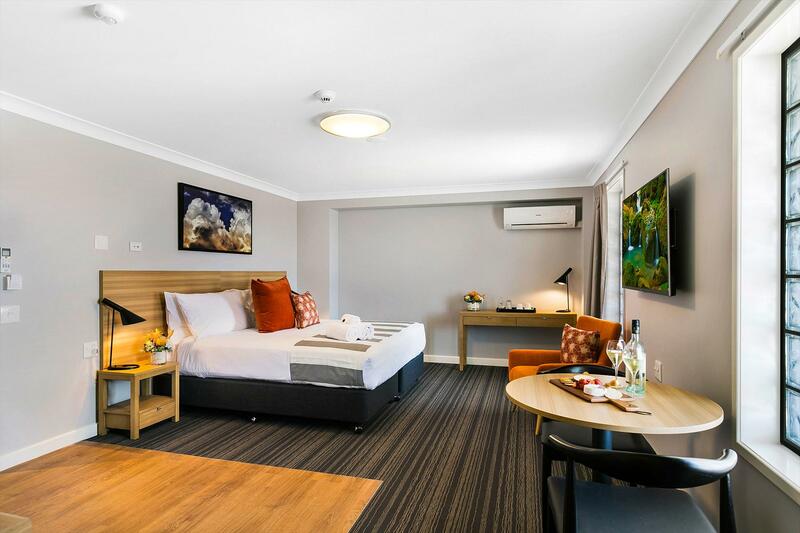 For a premier stay in Toowoomba, Potters Boutique Hotel offers stylish accommodation ideal for the business and leisure traveller. 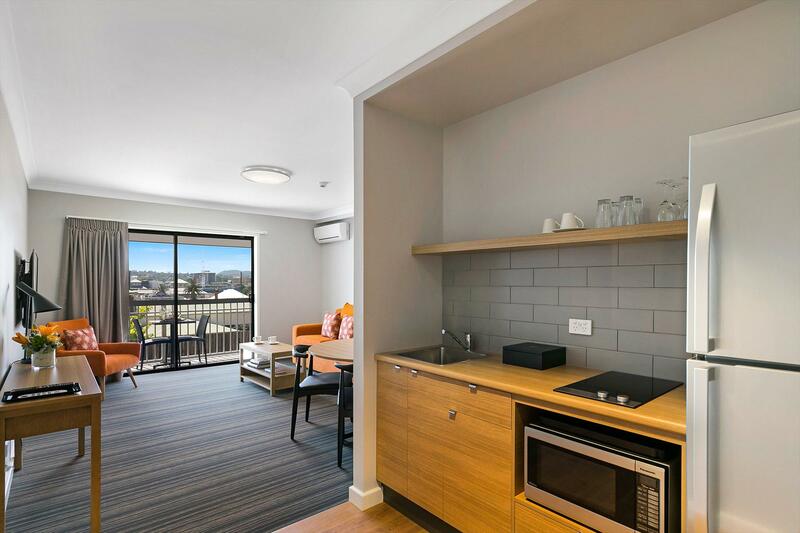 Central Toowoomba location just 1 minutes walk to Grand Central Shopping Centre. 90 minutes drive from Brisbane. Free Cancellation. Cancellation or changes to booking may be made before 6pm 24 hours prior to arrival without charge. Cancellations changes or no-shows within 24 hours are subject to a hotel fee equal to 100% of the total amount paid for the reservation. Featuring a king bed, with full size king pillows our Standard King room is the perfect choice for couples enjoying a break away from home or a weekend away. The convenient option for a group of two, your Standard King room provides all the necessities for a true home away from home experience. The perfect room for the business or leisure traveler, the King Twin features individual bedding for up to two guests and the creature comforts of individual climate control, a smart TV, bar fridge, safe and ensuite bathroom. Configured for ease of access, our Disability Executive King rooms are a welcomed addition to the hotel. Guests can relax with the confidence in various inclusions and appropriate positioning within the building to allow the most pleasurable staying experience for guests. Sleeping up to four guests in total, our Connecting King room allows for multiple sleeping configurations depending on your requirements. Well suited to families, a group of colleagues away on business, friends or wedding parties our connecting rooms provide both comfort and flexibility. Fully self-contained, our Two Bedroom Apartment is ideal for extended stays. Featuring a kitchenette, dining area and living room means families and groups are able to access a centralised location while still providing individual space for each guest.